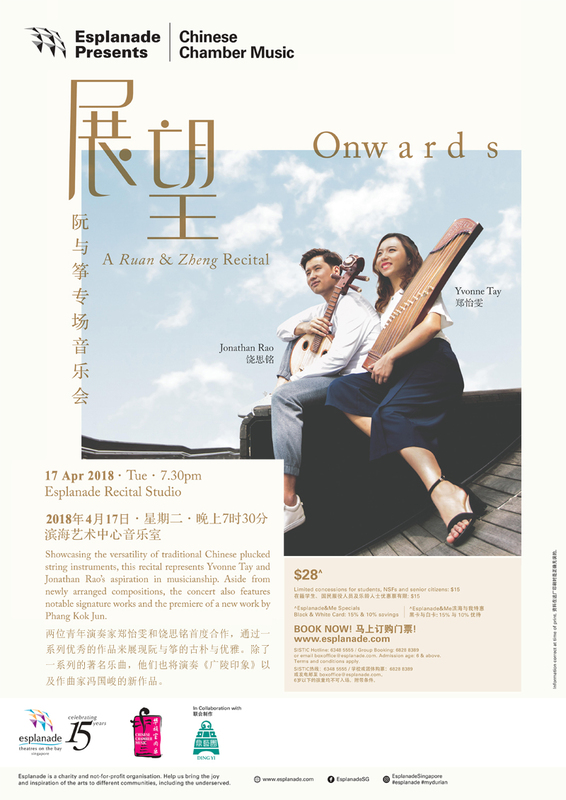 Showcasing the versatility and elegance of the traditional Chinese plucked string instruments, ruan and zheng, this recital represents homegrown talents Yvonne Tay and Jonathan Rao's aspiration in musicianship. Aside from the newly arranged Impression of Guangling, which was derived from the classic guqin piece, Guangling Melody, the concert also features notable signature works, including renowned composer Prof Dong Li Qiang's Shu Ying and Robert Zollitsch's Boat Against the Current. The duo will also premiere a newly commissioned work by Ding Yi's composer-in-residence, Phang Kok Jun, as the finale. There will be a post-show talk in English and Mandarin.